It’s a shame to waste sunshine and blue skies. Fortunately, summer camps can take advantage of great weather by either creating great outdoor activity spaces or moving certain routines outside. Here are some indoor camp activities that could be moved outside when the weather is wonderful. An Outdoor Patio and Eating Space: Why have your bacon and eggs inside when it’s gorgeous out? An outdoor eating space can let campers dine outside in fresh air instead of in the usual dining hall. When it’s not being used for meals, the area can be used as a nice patio space for other activities.This space is a nice option to change things up every now and again when the weather permits. 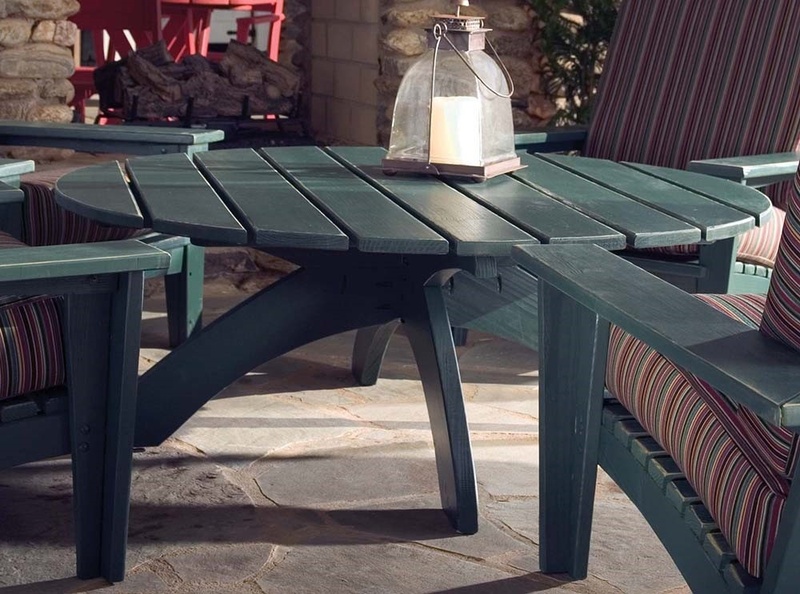 If you invest in wood picnic tables and benches designed for the outdoors, you won’t even have to worry about dragging the furniture inside when it starts to rain. A Theater Space:Do your campers like to act out? Harness that energy with a simple theater space so that the kids can put on their own plays or just use their imagination. A simple backdrop can be all the staging you need, while outdoor Adirondack chairs can let the audience sit in comfort. A Tinkering Space: Do your campers have the urge to create? The YMCA of Metropolitan D.C. suggests starting a space where your campers can be thinkers. A tinkering space lets your campers exercise create new and exciting things from their imagination.The YMCA suggests starting small with items like cardboard and tape. From there, you can try adding new materials. For this space, a few good working tables and storage furniture can be all the support your kids need to make whatever they want. A Classroom or Reading Space:Kids can get restless in the classroom. Amp up their motivation by moving some teaching activities outside. The National Education Association reports that holding lessons outdoors can help improve student behavior and reward them on nice days. This area can also be used as a general reading space when class isn’t in session. All it takes is a few outdoor chairs or tables. Outdoor Summer Camp Furniture:Outdoor activities are great opportunities to keep your campers engaged. Regardless of how you want to utilize your outdoor spaces, you’ll need the right furniture to support your campers. If you need to order quality summer camp furniture, create a Furniture Concepts Wish List to get a price on the items your campers need.